Bead Size 11-25 mm diameter. See picture with penny for size comparison. Strand Length Minimum 24 inches (including string/raffia). 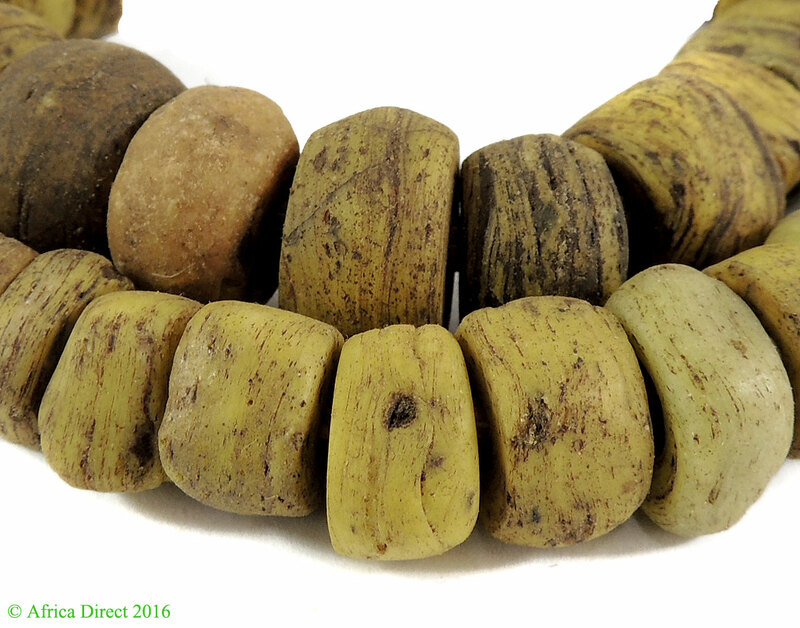 Richly-textured Hebron beads in an earthy yellow color. These beads are becoming harder and harder to find. 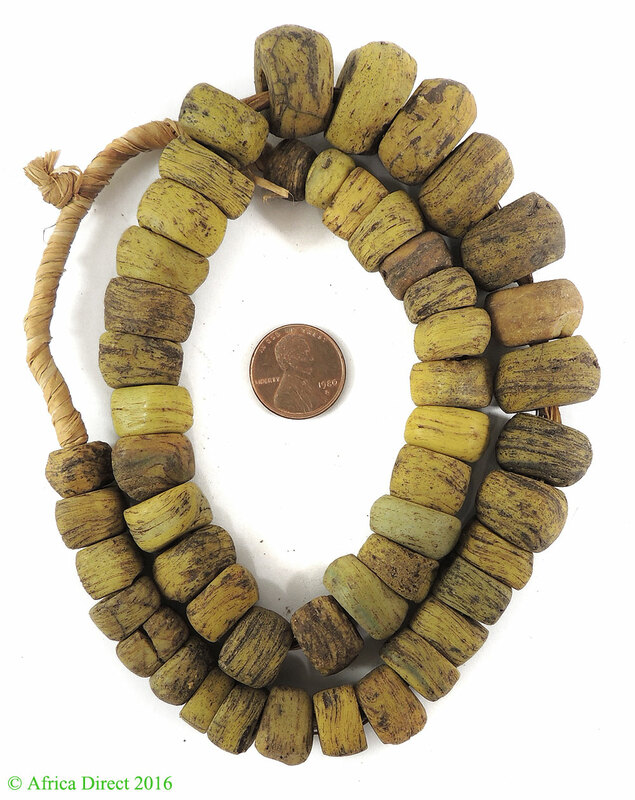 Additional information: Hebron beads were made with dead sea salts and date to the mid 1800s or earlier. The most common color for these is a dull yellow ochre. Shades of blues and green are much more uncommon. Black with color specks is the rarest of the Hebron beads. To find out more information on Hebron beads please see BEADS OF THE WORLD (Francis).